Net metering is the practice in which a solar PV array may run the utility meter backwards in the daytime, during times of over-production, then spin the meter forward at night when the house is a net consumer. The customer only pays for net power imported over some defined period of time. Different states and municipalities have different timescales for assessing net balance. The most generous (e.g., California and many others) use an annual timescale, so that under-production in winter may be compensated by summer sunshine. Others use a monthly balance sheet. Very few states require utilities to cut a check to PV owners for net over-production. Those that do often compensate at a cost-avoided rate of a few cents per kilowatt-hour (kWh). When net metering started, most utility meters were analog affairs with a spinning disk and dials. This crude device cannot record separately the import and export of electrical energy, so net metering is the only real option for tallying PV production with these meters: assessing the cumulative effect. This implicitly means that PV generation is being compensated at the retail electricity rate (national average around $0.12/kWh). “Smart” meters are now sweeping the scene, although I have a serious beef with that name. In any case, these meters can keep track of production and consumption separately. The door is open for differential pricing, as well as time-of-day fluctuations in the cost of power. At present, price (demand) is highest in the daytime, and cheapest at night. Time-of-use pricing would presently advantage solar producers. Longer term, if solar were to establish a substantial share of electricity production, the price differential could flip. A well-sized system in an annual net-metering state will balance the books and leave the consumer spending no money on kilowatt-hours from the utility. This is a large factor in figuring out finances and payback time. For instance, a household using 20 kWh/day and paying $0.15/kWh pays about $1,100 per year in electricity costs. A 4 kW PV array (at an average of five full-sun-equivalent hours per day) will offset the utility and cost about $16k or less to install at today’s rates. The payback is 15 years with no additional incentives and at constant utility price. Eliminate net metering altogether and assume that 50% of a household’s electricity use is in the dark (often will be more), and the consumer still pays $550/year to the utility—doubling the payback time to 30 years. That, my friends, makes it a no-go for most people. Even if being compensated for over-production during the day at a cost-avoided rate of $0.04/kWh, the payback looks like 25 years. The buy-in shrinks precipitously. But it gets worse. The Koch proposal also points out that PV producers are using an electricity grid for free, even though it is costly to maintain this system. They propose that solar producers pay $50 to $100 per month for the grid service. That pretty much destroys any financial advantage to putting solar panels on your roof—however slim it already was. The mandate for a state to acquire some fraction (or absolute amount) of its electricity generation via renewable sources (solar, wind, hydro, geothermal, etc.) goes by the name: Renewable Portfolio Standards (RPS). According the Wikipedia page, 36 states in the U.S. have some form of RPS in place. Usually, this takes the form of a target percentage at a certain date: commonly something like 20% by 2020. The RPS puts pressure on utilities to build and embrace renewable installations, which tend to be costlier than fossil-powered plants. Few people want to pay more for their electricity than they already do, so the utilities are squeezed between a mandate and a grumpy place. The whole point of these incentives is to give an economy-of-scale kick-start to an underdog technology that is deemed likely to be important for our future. The advantages seem to be working: PV panel cost has dropped precipitously in the last five years. Given more incubation time, the hope is that solar will reach cost parity and be able to outcompete fossil interests on its own. In a similar vein, we don’t throw children (seen by some as important to our future) into adult roles at age 5: we protect and nurture (advantage) them until they are ready to face the world without help. Do the mega-rich advocate throwing auspicious children to the wolves? The solar-killing initiative is being tested in a few of the more conservative states having net metering and RPS mandates. The utility companies are giddy. Stepping into a business mindset, what the Koch brothers are trying to do makes sense. No free rides; no artificial distortions to the market (government meddling); no penalty to hard-working, legitimate, successful, and important service companies. They have a point. Utility companies perform a valiant service for our country: stable electrical power is critical to productivity, and therefore to the health of our economic engine. Folding in intermittent power supplies outside their direct control can threaten their ability to maintain grid stability—especially if renewables grow to a substantial fraction of the input. Some would say that the RPS targets are already too high for grid stability. Without costly storage systems, organic growth of renewable resources constitutes a giant headache that the utilities would rather not have. So this friction between solar upstarts and business-as-usual is not surprising. A fair system, the Kochs would say, does not allow solar producers to use the grid for free. It does not allow PV generators to get full retail compensation for energy production (erratic, unscheduled production, at that). It does not impose artificial targets for inferior and costly energy resources in a heinous market manipulation—conferring enormous advantages to these renewable blights. Governments should not pick winners or establish grossly tilted playing fields. It’s not fair. I get it. Fairness does not always appear to be in your favor. Tough love, but wise words. [Clarification: I don’t want to give the wrong impression of our fabulous undergraduate advisor, who will bend over backwards to help students—within a fair framework.] So when you hear someone—whether a kid or a billionaire—say “it’s not fair!” you are usually safe to substitute the words: “it’s not in my favor!” Sometimes both are true, but the latter phrase is nearly always on target. It is clear enough that net metering and RPS targets are not favorable to electric utility companies. Are they fair? That depends entirely on your world view and what you think should be the governing principles behind the rules of the game. If you think our lives should be governed by free market ideals, and that government’s role is primarily one of defense, enforcement, and currency protection, then NO: the RPS and net metering rules are absolutely not fair. I can see the logic of this argument, and in this light do not view its adherents as necessarily having purely self-serving intent. I could imagine that the battle is more for the principles and ideology of free-market capitalism. If they do not stand up and fight for fairness under their world view, then who will protect those who have played by the rules and succeeded? The theme, as I see it, is: rules, order, consistency. It’s like a big board game, and winners should not be penalized just because some players who didn’t fare well advocated for rules changes that would give them a leg up. A more cynical view is that this is all profit-driven, and less about ideology. Possibly, but I will operate in generous mode here. Okay, so while I believe I can understand the mindset and motivations of the solar-disincentive effort—and acknowledge a certain legitimacy—I do not, alas, share this view. Yes, renewables bring new challenges, are more expensive, and are inferior in a multitude of ways. But that is our road. Nature does not care about our rule-set. As finite fossil resources give way (and contribute to climate change), nature forces us onto a different path if we are to remain somewhat in control of our destiny. As fisheries collapse, agricultural land is lost to salt and desertification, freshwater resources are consumed, forests are lost, and species disappear under the grinding heel of climate change, why should we respect the rules of the game that got us here? Why pursue business as usual? At its core, we have nature vs. free-market capitalism. They were not designed to co-exist indefinitely. We can’t change the rules of nature, but we have control over the rules of humankind. The challenges of the 21st century are not easily addressed by short term concerns characteristic of market forces. Quarterly reports and earnings are paramount, followed by annual performance. Companies do think into the future, but with an ever-decreasing weighting factor for future decisions (manifested as a discount rate). By the time one reaches the decade timescale, market influence has waned. Governments, on the other hand, can and do exert influence on longer scales. If it is thought that renewable resources will be crucial to our future, but that short term interests will prevent the renewable industry from growing fast enough to matter, then governments can give these industries a fighting chance to establish full-scale adoption by the time it’s needed—hopefully averting a crisis in so doing. Climate change is another domain in which governments can exert control over markets, for the betterment of mankind. Just because the current rules do not include a stiff carbon tax, for instance, doesn’t mean that such a rule is an abomination and should not be considered. if we bind ourselves to the present rules just because some have succeeded at the game under the current set, then we cannot hope to adapt to nature’s curve balls. I have pointed before to this excellent article in The Nation about the genuine conflict between capitalism and climate change (can substitute “resource limits” and have identical arguments). The more we cling to the rules that got us here, the less likely we will be to deal with real challenges in our future. Governments have responded in the right direction, in my opinion, by giving advantage to nascent renewable technologies. It may not be enough: we may not find the prosperity to afford a renewable lifestyle, and the Energy Trap awaits an ambush. Nonetheless, we should do all that we can within the constraints of what politics and voters will allow. Let’s at least try not to go backwards. This entry was posted in Behavior, Energy, Sociology and tagged economics, electricity, photovoltaics, solar by tmurphy. Bookmark the permalink. Had you read about EROEI of PV’s in a real world? Dr. Hall and Pedro Prieto did an excelent work with the basis of the REAL energy and peak power of PV installed in a sunny place called Spain. The whole country, though. Result is really bad, below 5:1, hardly 7:1 for the best approaches, with a mean of 2.45:1. Pedro Prieto works as manager of some PV plants. IMHO, PV are not the way to go. Neither full electrification. Direct renewables may be much more efficient. Electronics neither will last too long, so we can not rely on electronic means, and PV, after all, is a kind of electronic diode, with many rare earth components, platinum group elements and such exotic substances that in a low energy world look like wouldn’t be available. As long as the EROEI is bigger than 1, what’s the problem? The EROEI of oil is getting worse every day. There are many discussions about the minimum EROEI to sustain a society. There seem to be some agreement that 10:1 is a minimum. Wind turbines seem to be better, and are easy to build by skilled men and renewable materials as wood. PV needs a really complex society that can build really complex electronic plants, they can’t be manufactured in your backyard. This demands bigger EROEI to sustain more complex societies. Hence the issues with society, complexity, and EROEI. I read a study that 3:1 is considered the minimum EROI to sustain civilization. Depending on how you measure [Prof. Fthenakis has various recent papers] you get between 6:1 to 25:1 for solar. I think this perception does not, unfortunately, go far enough and is part of our problem. The core issue is not nature vs. capitalism, but nature vs. human behavior, of which free-market capitalism is but one particular encapsulating grouping. Is human behavior under state-controlled capitalism demonstrably better with respect to nature? Or communism? Or socialism? Or any other “ism” you care to name? The fact is that humans, especially taken as a whole or in large-scale groupings, behave in ways that are inconsistent with the long-term rules and limits of nature. And there’s the rub. If this were simply a political or economic problem, then it might be addressed through legislation or administrative rule changes. But it’s not, it’s a behavioral problem, one that the historical record might suggest is inherent in our species. So, does that mean that we shouldn’t try to do better? Of course not. Does it mean that governments shouldn’t act in accordance with their true theoretical responsibility to protect and support the commons (both tangible and intangible)? Of course not. Both those things are, in my opinion, to the good. That said, I am not as generous as you, and tend to interpret Koch actions as typical of humans, seeking to maximize their own wealth and power. While such people exist, and they have always existed (and always will), it behooves the rest of us to work to exert whatever power and influence we have (which turns out to be very little) to protect our own interests (like, for instance, survival). So, like you, and with some overlap in reasons, I would hope that people are able to resist the Koch position. Still, when we position an argument as nature vs. capitalism, then, I think we do ourselves a disservice because we present the appearance that simply changing rules or laws (or preventing unwanted changes in those areas) is somehow sufficient to set things right. This just isn’t the case. Unless human behavior, writ large, can change, most, if not all, species (humans included) are in serious trouble over the long term. This is the message that people need to hear and understand and, unfortunately, it is not a message that anybody wants to hear or has any desire to internalize. Generally, people (and here I’m talking about people in places like the USA) like their way of life and do not want to change their behavior. At all. Ever. And therein lies the problem. Of course, as it has been said, “Mother Nature always bats last, and she always bats 1.000.” Behavior that is unsustainable will, eventually, by definition, stop. We (life on earth) would be better off if humans would choose to rely on the brakes instead of the air bags. Well said, and I can’t say that I disagree. I can dream of a steady state economy, but we have little or no evidence that human nature is compatible with such schemes. i would argue that animals ordinarily live in equilibrium with their environment. for example, tigers are territorial and block other predators from encroaching on their land in order to maintain prey populations at steady levels. hunter gatherers probably learned to live in something like steady state after decimating prey populations in new lands, and some agricultural societies like china have lasted for thousands of years (tho generally with increasing resource use). usury too has been disfavored at various times and places. i think that in the distant future nature will have forced us to learn to live in equilibrium with our environments. of course this doesn’t help us at this immediate moment in time. Very insightful comment. Sad but true. I agree with all you said but for this sentence: “Unless human behavior, writ large, can change, most, if not all, species (humans included) are in serious trouble over the long term”. I would better say SHORT term. Just keep looking at the news: We are running out of time! Until the fossil fuel industries are required to take out insurance against the risk of hundreds of trillions of dollars of degradation to the biosphere, talk of fairness is a distraction. Is it really the fossil fuel industries that cause the supposed degradation? It can be argued that it’s the consumers that do this. For what it’s worth, the state of Minnesota recently established a regulatory method to determine the value of PV to the electric system under the rubric of VOST: Value of Solar Tariff. It hasn’t been fully implemented yet, but provisional outside analysis suggests that, under VOST, PV owners will be compensated at MORE than retail, because of the ancillary benefits provided by PV integration to the grid. Regardless, VOST shows that, accounting for even a low-ball internalization of the currently-externalized costs of carbon emissions, it’s not hard to see that PV deserves to be a part of active public policy. I realize that’s not quite what you (Tom) are getting at. You seem to be saying that even if PV didn’t make the cut accounting wise at this precise moment in time, it can (and does) still make sense to promote it with public policy once you factor in a longer term perspective. I think you are right. My point in this comment is that, w/r/t PV, that argument is already pretty much superseded by the fact that PV is, today, earning its chops in hidden ways. These are not only from displacing carbon and associated future costs to society and economy. 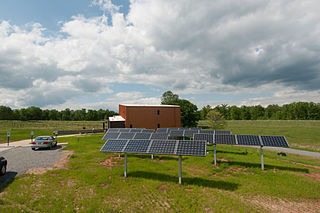 Current benefits of small-scale PV that commonly aren’t valued are the facts that PV tends to displace high-cost utility generation/acquisition (because PV typically produces during periods of higher demand), saves utilities the financing costs of building new generation facilities, provides utilities a financial value as a hedge against fluctuating fuel costs for traditional generation facilities, reduces line losses, can reduce the need for expensive transmission build out, and provides benefits (but maybe also detriments) to the distribution infrastructure (i.e., less wear and tear on equipment near PV-outfitted customers). I agree with the broader point of what you are saying, but I do have to wonder, if consumers aren’t paying for electricity then how *will* the utilities continue to function? Obviously at this point rooftop PV is not popular enough to be a utility-killer, but do you have any data about how this plays out in a state like California where it is more popular? You seem surprisingly willing to accept the premises of the Koch crowd. At least for our town (which has a muni electric company), I recall that the system connection price to the larger grid is a function that has peak load as a significant component. PV can blunt the (summer) peak. Since most people doesn’t have $16k sitting around, we’ll have to factor in the interest on the cost of install. At a 3.5% interest rate that’s an additional $560 a year. That alone is 50% of your current electricity bill in the example. Add to this degradation of performance at a few % each year, and a lifespan of 30 years for the panels – and I wonder if this makes sense. In addition we should not view solar as it’s own thing. Solar only works in combination with base load generation and acts as a fuel saver. Fossil fuel is also needed for all stages of making, transporting and installing the solar panel. When you view it this way you realize how little you are saving and what that delta fuel saving really cost. Governments can and do exert long term interest in the same way as corporations do. Short term decisions can have long term effects and corporations do look to quarterly and annual results. But governments (that is, the people in government) look to biennial, quadrennial, and sexennial results (HR, Pres., Senate) at the Federal level and similarly at state and local levels. Their actions are geared toward winning the next election. Thus, they’re influenced by those short term thinking corporations and individuals who fund their campaigns and by the particular interests of the moment of whatever happens to be their constituency. In this sense, it’s hard for me to distinguish their motivations, though their levers (the ability to make, execute, and render judgement of laws, send benefits to those from whom they wish to curry favor, etc.) are, arguably, more powerful. What matters is not whether solar subsidies are fair, but whether they reduce greenhouse emissions. ( I don’t believe they are fair, since the taxpayer or power user without solar is paying for the solar owners’ system but not benefiting from it. ) More importantly, in most places peak demand is in the evenings, well past peak solar production, and peak seasonal demand is in winter, mostly after sunset. That’s true for the grid as a whole, but even more so for residential use. This means that, to eliminate carbon emissions, which is necessary, another source of power must be available when solar is not. Your own post on the scale needed for a nation sized battery suggests that stored solar ( or wind ) is a doubtful proposition. Hydro and geothermal are limited and local, nuclear and fossils are not- there’s enough coal to cook the planet, and enough uranium and thorium to avoid doing so. If subsidies push a lot of solar onto the grid, their production will all drop to nothing at sunset. Peaky demand like that can be balanced with hydro, but few countries have enough; instead, fast-spooling gas turbines kick in. Germany is a terrible example – not enough sun- but Italy and Spain ,also with a lot of solar, have emissions from electricity production far higher than those of France or Switzerland, with nuclear and hydro. I’d like to see the Koch brothers begging on the street too, but Solar won’t put them there. Where are these datas from? I always read that peak-demand is usually during the day, when everyone is around working, and when heaters or A/C go on full power. That makes them unfair only compared to some non-existent standard of perfect fairness. In the real world, where drivers and fossil power users benefit from burning fuel without paying for the environmental and social costs, they’re quite fair. I’m not sure where your data comes from about electricity consumption peaking in the winter; the EIA charts show annual generation peaks in July – http://1.usa.gov/1mfqBTn . I think it’s true that grid peaks often come after solar peaks on a daily timeline, but this can be mitigated to some degree with load-shifting (pre-cooling homes) or more west-facing panels. This is for a hot summer day. Agricultural and industrial use is steady, commercial peaks at 2 pm, domestic at 6 pm. Total demand is high from 2 till 6, at about double the night time minimum. One reason for the difference could be that heating and cooking use gas or oil rather than electricity. In New Zealand electric cooking is the norm, heat pumps have increasingly replaced coal or wood fires for home heating, and most hot water is electric .This is good for the carbon footprint, since most of the electricity is hydro. In the UK about sixty percent of energy used in households is from piped in gas. This might be better than using electricity from coal or gas, but much worse than low carbon electricity. According to this graph, US household energy from gas and oil is a little more than from electricity. I imagine electricity might peak in the winter if we used electric heat, particularly if direct and not heat pumps. Otherwise… when I run my window A/C unit that basically triples my electricity bill, which is otherwise dominated by my fridge, lights and computer and microwave coming in a distant third. Wait, I shouldn’t say that; when I’m out of town for a month the fridge is the only thing running, but my bill may well be dominated by the fixed connection/delivery charges everyone’s been talking about. Should double check that. But A/C definitely multiplies the total bill. My electric bill (Xcel in CO) already has a “Service and Facility” line item that pays for the grid connection cost, above any usage. Is this not common? It seems that it represents the grid service connection costs already. P.S. I quite enjoyed your talk last week at the CU Physics colloquium. Thanks! Balancing Pool Allocation – does this mean I’m getting charged to make sure they don’t blow their transformers out? Rate Riders – does this go into a hedge fund or something? Local Access Fee – well I guess those delivery charges only get me to the local substation then? Looks like the Koch argument that PV contributors should pay for grid maintenance is pretty much bunk. They already do. Just a couple of quick comments. I have solar; I do not use the grid “for free” – I pay about $130/year simply to be connected. I actually pay slightly more already for having solar, because I have 2 meters. Covering fixed grid costs with variable kWh usage seems like the first place the ratesetting has gone wrong. What is stopping you from simply disconecting from the grid and going on your own completely? Then you would have no feed-in cost whatsoever. Problem solved. The only reason you are connected to the grid is that it is much cheaper to be so. It is much less expensive to pay $130 a year than buy a battery pack, and reduce your power usage to your actual generation. Explain to me again how the Koch brothers are “greedy” but you are not? Why does your personal decision not apply to every other person on the grid? In other words, no one wants to pay for your back up for when the sun goes down – not you, and not the other customers at the utility. What everyone here is failing to understand – a high percentage of the grid costs are fixed. That is to say, whether you use electricity from the grid or not, the costs to generate that electricity and make it avalible is fairly static. Solar simply redistributes these costs to fewer users, raising power costs for some, and reducing it for others. I am really hoping for a follow up post where you ‘do the math’ and tell us what you think is fair for grid connection charges and net metering scheme. My first reaction to the legislation in Oklahoma was to wonder what the fuss was about. Of course customers with solar should help to pay for the grid – but then I saw the amounts suggested and realized this was more about killing solar than fairness to the utilities. My gut tells me $10 to $20 per month sounds about right but I have no idea how to test that intuition. Thanks Tom, I always enjoy your posts. I’ve worked in the PV industry since 1982, in the research Labs at JPL and Arco – Siemens – Shell Solar. I’ve been on teams that have built multi-megawatt PV plats in California and Florida. Beamspot seemed to redirect tone of your posting with the EROEI paper. I’ll dig into that paper but I’ve done and seen others calculations before and 2.4 is too low. *At one point some glass manufactures put a bit of cerium in the cover glass and did not tell us for about a year). The utility billings that I’ve seen from CA and Fl all have “Delivery Charges”. These could be amended to include the kWh produced to make it “fair”. I slight bump in cost of solar. But if your roof’s solar power is consumed by your next door neighbor how long a delivery is that? Fair would be a CO2 equivalent tax used to help move 1/2 a billion people to higher ground during the this century and a billion more the century after that. Sorry I’m not being too precise for a “Do the Math” post but since it was about PV I needed to get in my 2 kWhs before comments close. Besides rare earth elements like cerium, there are other that are not ‘rare earth’ ones in the sense of lanthanides, but tellurium are used in some of the thin film PV arrais, AFAIK, and this is very scarce. Platinum group metals are also used in some parts, also AFAIK, though. Other used elements include Indium. EROEI is usually miscalculated. Usually all ancilliary systems (inverters, other electronics) are excluded from the equation, as well as glass covers, aluminium backs and installation HW. This is parte of the EROEI points raised by Dr. Hall and Pedro Prieto. Other issues relate with the ideality of the radiation received, that even in a sunny place like Spain is far, below from the estimations used to calculate the energy produced. Other points relate with the silicon manufacturing plants, located in China, using coal a primary energy source of electricity, close to enslaved labour, and ‘cheap’ coal instead of more expensive oil for energy usage in the production site, plus the fact that this is a public company, not a private one. Meanwhile, those PV cells are used in places where CO2 emissions are low. Wind generated electricity is a big chunk of the spanish electric production. On the other hand, 2.45 is the mean EROEI, that includes ‘old’ PV arrays. For new, high efficiency ones, it seems to be as high as 5. Maybe we can live with this low value as long as we have other energy sources, but I bet electronics as we know now, with microcontrollers and microprocessors wouldn’t stand longer than few decades, and then its price will be too high to even think in anything like PV. I was happy to see that you pointed out that the original basis of net-metering was tied to the old mechanical electrical meters which only measured ‘net’ kilowatt-hrs. This resulted in trading a kilowatt-hrs during the day from the PV panel for a kilowatt-hr at night from the power company. Now, the newer meters allow the power companies to determine when power is received or delivered. Of course, they sell the PV energy delivered into the grid from the PV system to other users. The PV system owner should be paid for this energy. And it would only seem ‘fair’ to charge the PV owner for power delivered at night or when the PV system is not working. The problem is that a kilowatt-hr in the middle of the day is not necessarily of the same value as a kilowatt-hr in the middle of the night! It is pretty well known the ‘peaker’ plants used to at times of high usage cost the utilities a lot more than base load sources. So in the middle of a hot summer day, the power company ought to pay the PV power provider a rate similar to what is pays other providers (e.g. gas peaking plants), while the cost to the PV source at night should be correspondingly lower. I live in California and my power company is Southern California Edison. The typical residential rate structure is tiered – meaning one pays more the more energy on uses. Rates run from $0.13 per kW-hr to $0.31 per kW-hr. Interestingly, SCE also has a time-of-use rate structure for customers who own electric powered cars designed to encourage charging at night. In the summer, the peak rate ((10AM to 6PM) is $0.47 per kW-hr, while the overnight (midnight to 6AM) rate is only $0.09 per kW-hr ! The same infrastructure is used during the day as at night, so this more that a factor of 5 difference is a strong indictor that a kW-hr during the day costs the utility a lot more than a kW-hr at night! This would seem to imply that the power companies may be getting a good deal with net-metering even when depreciation of lines is included. Another point about your payback calculation that used an average energy cost of $0.15 per kW-hr. Tiered billing can mean that heavy use of electricity (i.e. by turning on your air conditioner during the day) can put you into a higher tier. A small PV system that mainly powers just this higher energy use then has a much lower payback time than one that completely cancels out all grid usage. And the PV system is mainly canceling out the power as it used without ever sending it out on the grid. Reinstating the state’s Renewable Energy Tax Credit, which offers a tax credit for 25 % of the expense of non commercial renewable energy projects. This can be a fantastic Tax credit system to maintain ,It offers the home owner a little bit more motivation to setup a renewable energy project. Which explains a lot – renewable power is more about harvesting tax rebates than harvesting energy. Funny how every renewable power scheme quickly falls apart the moment real costs are applied to the proposition. Cost of capital makes the payback time longer, and probably makes the deal uneconomical altogether. If you absolutely want renewable power, even though the “renewable” property has no value in itself, then wind is the way to go. It costs as much as solar per watt, but wind has 3 times the capacity factor. But if you seriously worry about fossil fuels, intermittency and costs, as I do, then nuclear power is the obvious choice. > Do the mega-rich advocate throwing auspicious children to the wolves? I wouldn’t put it past the Koch Brothers to suggest this in their pursuit of profit. > A fair system, the Kochs would say, does not allow solar producers to use the grid for free. Have the current owners of the grid made adequate investment during their stewardship? If not, they should bear the cost of correcting the underinvestment. Then the “new kids on the grid” can cough up their fair share. As for free market versus government intervention. Once those who have espoused free markets, yet lobbied to get their snouts in the trough at the expense free market ideals (the Koch Brothers might again be an example of this), cancel out their hypocrisy by paying back their gains, perhaps we could try again. The author claims that the Koch brothers are simply pursuing their billionaire interests at the expense of everyone else. Fine. But he insists that we all subsidize his $16k discounted solar system, at the expense of those who cannot afford such a system. Why does he feel justified asking poor energy consumers to pay more for electricity so he can pay a little less? If this isan’t an economic question, but a moral question, shouldn’t he and those like him be happy to shell out a bit more? Right. Because it wouldn’t make sense to his personal finances, much like it doesn’t make sense to the Koch brothers personal finances to have solar free riders on the system. His moral stand would be much more believable if it wasn’t in direct support to his economic interests. This question is somewhat of topic but relevant and I am in considerable need of a good answer to it. Hopefully somebody here knows the answer. How much additional gas must a utility burn on average to compensate for the increased need for fast backup due to the intermittency of wind and solar power. It might be a bit more clear if I ask the question this way. For every gigawatt hour a utility gets from wind and solar farms and small scale installions of pv how much gas is actually saved -assuming for simplicity all load balancing is accomplished using gas. IF there was no need for additional fast ready backup the answer would be obvious- enough gas to generate a megawatt hour. I realize any answer must be an estimate only but I cannot find an estimate that has been made by professionals working in the energy field. There are anti renewables people out there who insist that load balancing consumes so much gas that wind and solar are entirely worthless which is male bovine solid waste of course. There are renewables advocates who say the saving of gas is very close to one hundred percent.That seems a little doubtful but a given utility might get pretty close if it is located in an area with plenty of high quality wind and solar resources. Surely somebody knows the answer.